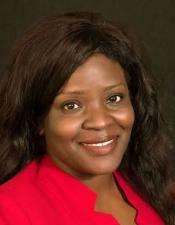 Deidra D. Ritcherson practices in the areas of patent and trademark intellectual property law. 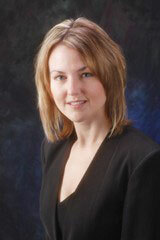 She is also the head of the Trademark practice group at the firm. Her practice includes U.S. and non-U.S. patent and trademark application preparation and prosecution, non-infringement and invalidity opinions, patentability and freedom-to-operate studies, trademark selection and clearance, opposition proceedings, patent and trademark licensing, due diligence for mergers and acquisitions with associated intellectual property, portfolio development, litigation and general client counseling. Her patent experience spans technologies in the electrical and computer science, mechanical and business method arts. In particular, she has experience with inventions related to telecommunications systems and networks, digital signal processing, computer software and hardware, interactive media, semiconductors, analog and digital circuits, sensor technology, gaming and medical devices, materials, financial services and e-commerce. Her trademark experience includes serving as counsel for the procurement, enforcement and maintenance of trademark protection for Fortune 500 companies to start-up companies to charitable organizations. Examples of her recent representations include: representing NTP, Inc. in the reexamination of five of the patents involved in the NTP, Inc. v. Research in Motion, Inc. dispute related to the Blackberry® devices; serving as intellectual property due diligence counsel to an international company for a multi-million dollar acquisition of patent and trademark intellectual property; and serving as trademark counsel to a Fortune 500 company in the procurement and enforcement of numerous well-known marks used in connection with products for infants. Prior to practicing law, Deidra worked as a Research Scientist for Telcordia Technologies. Deidra also completed Electrical Engineering summer internships at Lucent Technologies — Bell Laboratories, MIT — Lincoln Laboratory and Johnson & Johnson.